Aussie Hotels provides all sorts of travellers with a wide variety of Sydney hotel accommodation including budget motel accommodation, 5 star Sydney CBD hotels, waterfront hotel suites in Darling Harbour and family sized hotel rooms. These Sydney hotels, motels and B&Bs will suit the accommodation requirements of corporate business travellers, international tourists, holiday makers and families who are travelling to Sydney on either a budget or who are looking for luxury. The properties listed on Aussie Apartment are perfect for extended stays, holidays and relocations because you can get exceptional discount rates for longer stays in Sydney. The Metro Hotel Sydney Central is conveniently positioned in the southern part of the Sydney CBD opposite the Capitol Theatre on the corner of Pitt Street and Campbell Street. As one of the best value for money Sydney hotels available the Metro Hotel Sydney Central is ideal for both the budget conscious corporate and holiday traveller. It is situated within close proximity to the major corporate and government offices in the city centre, conferences & trade shows at the Sydney Convention and Exhibition Centre, Chinatown, Paddy's Market, Cockle Bay Wharf, Star City Casino and the excitement of Darling Harbour. For the added convenience the hotel's guests have access to wireless broadband internet, the outdoor rooftop swimming pool and the Indigo on Capitol Restaurant and Bar, which serves a delicious array of authentic and traditional Malaysian cuisine. As the name suggests Central Railway Hotel Sydney is centrally located right near the main transport centre of Sydney, the Central Railway Station. This property provides quality Sydney hotel rooms only a few minutes away from the CBD, Circular Quay, the Rocks, Darling Harbour and Chinatown. The Central Railway Hotel Sydney offers travellers the ideal base from which to discover everything that Sydney has to offer. One of the best value for money Sydney hotels in a very convenient location, which is perfect for people staying for either business or pleasure. A newly refurbished luxury hotel in the heart of Potts Point & Kings Cross, close to the Sydney CBD, the Chifley Hotel features stylishly appointed and ultra modern guest rooms with funky new decor to complement the lively surrounds. Including uninterrupted magnificent Sydney Harbour, city or eastern suburbs views. The hotel amenities rival many of the finest Sydney hotels and include air-conditioning, climate control, non smoking rooms, high-speed wired and wireless Internet access, pay per view movies and for added convenience in room massage. Take some time off and explore Sydney's top tourist attractions such as the Sydney Opera House and Royal Botanic Gardens or the myriad of dining and entertainment choices right on your doorstep at the Chifley Hotel Potts Point. Further hotel facilities include 24 hour reception, restaurant, cocktail bar and lounge, concierge and room service, airport shuttle, business centre, games room, steam room, massage rooms, sauna, high-speed wired and wireless internet access, dry cleaning and laundry services, conference facilities, onsite secure undercover parking, luggage storage, porter, currency exchange and lift. Parkview Hotel Sydney (formerly Victoria Park Inn) is one of the best budget Sydney hotels which is situated close to the Sydney CBD and with easy access to public transport. Located on Broadway in Sydney, this Sydney hotel is directly opposite Victoria Park and the Sydney University as well as backing onto the Broadway Shopping Centre. Darling Harbour, the Sydney Fish Markets, Chinatown and Glebe restaurants are also located nearby to the double hotel and twin hotel rooms available at the Parkview Hotel Sydney. When you stay at the Metro Aspire Hotel Sydney you will be in a tranquil setting which is conveniently close to all of the action of Sydney. This well serviced mid sized 3 star Sydney CBD hotel offers standard and deluxe boutique hotel rooms only a few minutes walking distance to the Sydney CBD, Darling Harbour, Chinatown and the Entertainment Centre. Offering everything that you would expect from international Sydney hotels, the Aspen Hotel Sydney has it all and a great location to boot. The affordable budget hotel rooms at the Pensione Hotel Sydney is ideally located in the heart of Sydney's entertainment and theatre district, only a short walk to Darling Harbour, the Harbour Bridge and Opera House. With flexible holiday and business options and well equipped hotel rooms set inside a historic exterior the Pensione Hotel, like all good Sydney hotels caters to the discerning budget conscious traveller as well as the corporate executive. Staying at the Y Hotel City South is great value for money and consists of a range of hotel rooms at budget prices. Situated just a 10 minute walk from Sydney Central Station, this affordable hotel in Sydney is also close to the shopping at Broadway and Glebe and the nightlife at Darling Harbour and Chinatown. The Y Hotel Sydney has a selection of hotel facilities that have been designed to make your stay in Sydney comfortable and relaxing. The Park Regis Hotel is conveniently surrounded by some of Sydney's best shopping, entertainment and sightseeing. Designed to cater for the corporate and tourism markets the Park Regis Hotel Sydney is a newly refurbished property that offers some of the best value rooms of all the hotels in Sydney. Located in the heart of Sydney CBD the hotel is also close to Hyde Park, Darling Harbour, Pitt Street, QVB and Town Hall are all very close to the Park Regis Hotel Sydney. The Park Regis Hotel boasts a large variety of beautifully appointed hotel rooms specifically designed to suit every travellers needs. The Econo Lodge Sydney South offers a unique hotel experience whilst visiting Sydney. Guests can stay in comfortable, boutique rooms at the Macquarie Hotel and unlike other Sydney hotels it has it's own unique facilities which include a gaming room, cafe, TAB facilities, saloon bar, bottle shop, internet cafe and bistro. Holiday travellers will be able to enjoy the sights of Sydney, many of which are within walking distance, although public transport is close to hand. Business and leisure travellers to Sydney will enjoy the quality hotel suites on offer at the Citigate Sebel Hotel Sydney. From this luxury, contemporary Sydney hotel, you will be able to explore all of the sights and attractions that the harbour city is famous for, including the Sydney Opera House, Darling Harbour and world famous Sydney Harbour Bridge. The Citigate Sebel Hotel Sydney also provides easy access from Central Station to Olympic Park Station and Telstra Stadium. The Citigate Sebel Hotel Sydney comprises deluxe and executive hotel rooms that are centrally located, comfortable and at rates that other luxury Sydney hotels are envious of. The Y Hotel in Hyde Park Sydney offers a huge selection of budget Sydney hotel rooms, centrally located in the heart of the city centre. Guests will be able to choose from single hotel rooms, double hotel rooms and twin hotel rooms that are fantastic value for money and have easy access to all Sydney attractions and public transport. Also Darling Harbour, Chinatown and Oxford Street are within easy walking distance of the Y Hotel Hyde Park Sydney. Enjoy the cosmopolitan lifestyle of Glebe, situated only 1 kilometre from Sydney CBD, and stay in the quality accomodation at The Haven Glebe Hotel Sydney. Like all good Sydney hotels travellers can choose from a variety of hotel rooms. This property is conveniently located an easy distance from many Darling Harbour 5 star hotels, Chinatown and the many Sydney city attractions that all tourists want to visit. Stroll along Sydney's Glebe Point Road to Broadway shopping centre which contains a huge variety of shops, restaurants and cafes. Public transport is close to hand making access to all of Sydney's hotspots easily accessible. Rydges World Square Hotel Sydney was formerly known as the Avillion and is centrally located within the World Square shopping and business precinct in the Sydney CBD. It is one of the best deluxe international Sydney hotels and provides guests with easy access to all of the city's major tourist attractions, either by monorail, walking or taxi. With the World Square Monorail located on the hotel's doorstep, you will have easy access to the Sydney Convention & Exhibition Centre, Darling Harbour, Cockle Bay, Sydney Entertainment Centre and Sydney's financial and shopping precincts. Rydges World Square Hotel Sydney is an award-winning hotel with contemporary design and luxuriously appointed hotel rooms and suites. Aarons Hotel Sydney is positioned in the heart of the Sydney city with budget rates and fantastic service that equals the best Sydney hotels. Situated in the beating heart of Sydney city, Aarons Hotel is a unique 19th century building that has been completely renovated and offers modern facilities, service and comfort. Aarons Hotel Sydney has a range of rooms ensuring everyone is looked after, from the solo traveller needing a bed for a night or two, to large 6-bed rooms for the family on the go. All rooms are spotlessly clean, wonderfully comfortable, and have the convenience of a private ensuite bathroom with shower. From the second you step out of this hotel the very best Sydney has to offer is laid out at your feet. From the busy bustle of Chinatown and Paddy's Markets, to the sophistication and excitement of Darling Harbour and the Star City Casino, The Entertainment Centre and shops in the Queen Victoria Building. The Central Private Hotel Sydney specialises in providing budget hotel rooms located right in the heart of the Sydney city centre. Perfectly located to explore the sights and attractions that the city has to offer this Sydney CBD hotel fog groups is only a 2 minute walk to Central Railway Station, 10 minute walk to Chinatown, Darling Harbour, Paddington Market, Sydney Town Hall, Hyde Park and the Queen Victoria Building. If you need quality Sydney Airport Hotel accommodation then stay at the Gemini Hotel, which is a perfect alternative to normal airport hotel. Unlike normal Sydney hotels the Gemini is not only ideally located less than 15 minutes from Sydney's Domestic Airport and 20 minutes from the International Airport but also offers Free Undercover Car Parking, Free Airport/Central Station Shuttle Transfers and 24 Hour reception. Located in Randwick, the heart of Sydney's Eastern suburbs, the Gemini Hotel Sydney is absolutely ideal as it is also located less than 15 minutes from the Sydney CBD and only minutes to stunning Coogee Beach with it's magnificent coastal walks and endless shopping. The staff at The Gemini Hotel Sydney look forward welcoming you and making your stay in Sydney a memorable one. Novotel Sydney Central is centrally located in Sydney's bustling theatre and entertainment districts. All hotel rooms are bathed in natural light and offer everything to make your stay in the Sydney CBD a comfortable one. The city centre, major shopping precincts and tourist attractions, including Darling Harbour, Cockle Bay and the Entertainment Centre, are all within easy walking distance of the Citigate Central Hotel Sydney. Corporate business travellers and tourists alike will enjoy the convenient city location of one of the better value Sydney hotels available. The Rendezvous Studio Hotel Sydney Central is conveniently located directly opposite the Central Railway Station and only minutes walk to Darling Harbour, the Sydney Convention and Exhibition Centre and Chinatown. The Rendezvous Studio Hotel Sydney Central provides easy access to all that the city of Sydney has to offer and is a perfect base to explore some of Sydney's biggest tourist attractions including the Sydney Opera House, the Sydney Harbour Bridge, the Entertainment Centre and the Powerhouse museum, Casino and Darling Harbour. The Metro Hotel Sydney Central is conveniently located in Sydney's southern CBD opposite the Capitol Theatre. The Metro Hotel Sydney Central is ideally located for both the corporate and leisure guest and is within close proximity to the city centre, all major corporate and government offices and conferences & trade shows at the Sydney Convention and Exhibition Centre. Guests staying at Metro Hotel Sydney Central also have the excitement and hustle and bustle of Darling Harbour, Cockle Bay Wharf, Star City Casino, Sydney Entertainment Centre, Chinatown, Paddy's Markets and the city's dining and cinema districts at their doorstep. Perfectly positioned in the inner cityand providing accommodation in the bayside suburb of Potts Point, the Devere Hotel Sydney offers affordable hotel rooms that are ideal for both business and leisure travellers visiting Sydney. One of only a handful of boutique style Sydney hotels the Devere not only has close proximity to the CBD and Rushcutters Bay, but also allows guests to enjoy the sights and attractions of Sydney whilst providing relaxing hotel stay. The Leisure Inn Suites Sydney is one of the few Sydney hotels set in the suburb of Kings Cross amongst the famous nightspots, clubs, restaurants and cafes that Kings Cross has become world reknown for. The Leisure Inn Suites welcomes both business and leisure guests to enjoy this fabulous location right near the excitement of Kings Cross, a stone's throw to the centre of Sydney and a stroll to Woolloomooloo and Paddington. The budget conscious traveller will love this quality Sydney hotel. The Royal Pacific Hotel is conveniently located on Sydney's lower north shore only 1.5 kms from Chatswood and close to Lane Cove. This fully refurbished Sydney hotel offers you the ideal base from which to explore Sydney's many attractions, as well as affordable and comfortable hotel suites. Located just a short stroll to the train station the Punt Hill North Shore Hotel is within easy reach of Sydney's city centre and Sydney Harbour. The Vulcan Hotel Sydney provides great value for money discount accommodation in Sydney. The contemporary style and heritage architecture of this boutique Sydney hotel make it a friendly and exciting place to stay. The new ensuite hotel rooms come complete with all the services you would expect from a quality city hotel. All of the hotel rooms at the Vulcan Hotel Sydney have double glazed sound rated windows and are located a short 10 minute walk from the heart of Darling Harbour, Sydney Convention Centre, Cockle Bay restaurants and a quick trip on the monorail to the Sydney City Centre. The Sleep Express Motel is one of the few Sydney hotels located at Homebush Bay and aims to provide modern and comfortable hotel rooms at affordable budget prices. The Sleep Express Motel offers budget hotel / motel rooms that are only 10 minutes from Acer arena, Telstra / ANZ Stadium, the Sydney Show Grounds and Homebush bay. This fantastic location makes the Sleep Express Hotel Sydney ideal for travelers to events in Sydney or at Acer arena, Telstra Stadium or Sydney Show Grounds Homebush Bay. The Metro Inn Ryde Hotel provides comfortable Ryde hotel accommodation in Sydney's west, with easy access to public transport so that you can visit all of the tourist attractions in the Sydney city centre. Ideally positioned close to Homebush Bay and Olympic Park this Sydney hotel is a perfect spot to stay in when visiting Sydney to see your team win and then check out all the sights Sydney has to offer. Glenferrie Lodge Hotel is excellently positioned in Kirribilli on Sydney's north shore and provides a range of guest hotel rooms at very affordable prices. Like all good budget Sydney hotels business and holiday travellers can choose from a selection of single, double and family rooms at the Glenferrie Lodge. Staying at the Glenferrie Lodge Hotel there is easy access to public transport and many of Sydney's main tourist attractions including Luna Park, Taronga Zoo, Sydney Harbour Bridge, Sydney Opera House and more. Quality Hotel CKS Sydney Airport is one of the few Sydney hotels that is within minutes of the Sydney International Airport. It provides comfortable well equipped, non smoking hotel rooms in a relaxed atmosphere which is ideal for transit travelers. Sydney's main tourist attractions are just a short bus or taxi ride away and guests can also unwind at the Kagara Golf Club, which is within walking distance. Recently renovated the Airport Hotel Sydney International Inn has a range of hotel rooms that cater for a diverse market and provide an improved, very cosy and relaxing atmosphere. Further recreation facilities at this Sydney airport accommodation include tennis courts and the golf course as well as a newly renovated bar and fully licensed restaurant which are ideal for informal drinks and dining at an affordable price. Centrally located in North Sydney, close to the central business district and with easy access to Sydney CBD, North Shore Hotel provides warm and friendly country style guest house accomodation to both holiday and corporate guests. Located opposite St Leonards Park and North Sydney Oval the North Shore Hotel Sydney will make you feel welcome with it's friendly service and very affordable discount rates. With boutique rooms that exude a relaxed beachside chic, are appointed with modern amenities and located on the Sydney Harbour waters edge the Watsons Bay Boutique Hotel is a great place to stay. This unique property offers luxurious, iconic and memorable hotel motel accommodation just 12 kms to the sydney CBD. Guests staying at the Watsons Bay Boutique Hotel Sydney can enjoy a relaxed harbour-side ambiance with million dollar views. This beach chic hotel is directly located on the sandy shoreline of Watsons Bay with unobstructed panoramic views of sparkling Sydney Harbour. Only a ferry ride away is the Sydney CBD, Taronga Zoo, manly and the iconic Sydney Opera House, making it ideal for corporate business travellers and holidaymakers alike. There is plenty to see and do during your relaxing stay at the Watsons Bay Boutique Hotel including the famous Bondi Beach which is seven minutes away or wonderful walks along the coastline. All boutique rooms exude a relaxed beachside chic and are appointed with modern amenities and include a complimentary Australian continental breakfast. Located in a truly spectacular waterfront setting, the Watsons Bay Boutique Hotel has been designed with the highest standards in mind to ensure you a memorable stay in Sydney. Rydges Hotel Parramatta stands in the heart of Sydney's growing west and offers luxury hotel suites with a warm, contemporary style atmosphere and spacious facilities overlooking the impressive Rosehill Gardens Racecourse. This Parramatta hotel is ideally located with easy access to Homebush Bay Olympic Stadium, Sydney Showground and Exhibition Complex, Eastern Creek and only minutes from the Parramatta CBD. Rydges Hotel Parramatta is located close to Western Sydney's thriving business region. The hotel facilities which include a luxurious indoor heated pool, spa, sauna, unique Turkish steam bath, well equipped gymnasium and complimentary car parking are the envy of other Sydney hotels. The Rydges Hotel Parramatta is the perfect choice for business or leisure travellers to Sydney's West. Guests looking for quality Sydney hotels in a central location should look no further than the Hotel Stellar. Situated within easy walking distance to Darling Harbour, Chinatown, the Sydney CBD and Circular Quay the Hotel Stellar is a fantastic option for your next visit to Sydney. The rooms at the Hotel Stellar ranges from deluxe hotel rooms through to studio hotel rooms which not only save you money but allow you to enjoy the sights and attractions of Sydney city centre. The Manly Oceanside Accommodation are ideally situated close to Sydney's Manly Beach and only 10kms north east of the Sydney CBD. Guests can easily access the city centre by car, bus, jet cat or a 15 minute ferry ride to Circular Quay. This Manly hotel is situated in one of Sydney's prime holiday tourist destinations with it's wide variety of activities including Ocean World at Manly Cove beach, amusements, fine shopping, dining in over 80 restaurants with beach front or Harbour side locations, scenic walks along the 18 northern ocean beaches, crystal clear water and golden sands. 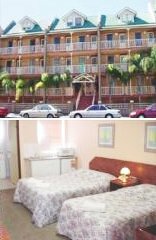 The Manly Sea View Motel is also one of the ideal Sydney hotels for the Jazz Festival and the Food and Wine Festival which are both held in and around Manly. The Ascot Motor Inn & Hotel Wahroonga provides modern and comfortable hotel rooms at an affordable price in the North Western Sydney suburbs. The facilities at this Wahroonga hotel include wireless broadband accessible from the newly renovated motel rooms, an award winning restaurant, function & conference room, breakfast room service to your hotel room and a swimming pool for use by the guests. This relaxing hotel / motel positioned on the edge of Sydney is available at very affordable discount rates. Situated on the highest point of Miranda, Sydney the Metro Hotel Hotel Miranda boasts spectacular views over the Sydney City and Botany Bay. Renowned for its warm and friendly service the Metro Hotel Hotel Miranda will provide guests with a lovely home away from home atmosphere in it's well-furnished range of hotel rooms. This Sydney hotel is extremely popular among families during holiday periods due to its close proximity to Cronulla Beach. For guests wanting to also take in the sights and attractions of Sydney city, a leisurely train ride will get you there or alternatively you can check out Miranda's Westfield shopping centre with it's wide selection of variety stores and entertainment venues. The Russell Hotel is one of the best value budget Sydney hotels in the historic Rocks precinct and offers the perfect location from which to explore all that Sydney has to offer. You will discover warmth of character and olde world hospitality at this delightful small historic hotel in the heart of Sydney's Rocks area. The Russell Hotel Sydney retains the charm of its 1887 origins whilst offering elegant and comfortable Sydney bed and breakfast style hotel stay, a far cry from other luxury hotels in The Rocks. Ideally positioned an easy walk away from Sydney Harbour, The Opera House, the Sydney Harbour Bridge, Museum of Contemporary Art, the CBD, great shopping and restaurants in the Rocks area, the Russell Hotel is welcoming and rich with Sydney history. Every room at the Russell Hotel Sydney has a style of its own with a blend of antique bedheads matched with the charm of pine dressers and marble washstands. The Russell is located in the city's historic heart, the Rocks, just walking distance from popular attractions and main shopping areas. Across the road is Circular Quay, with its waterside cafes and shops, and bus, train and ferry connections. The Albert and Victoria Court Sydney is centrally located in the quiet and leafy Victoria Street in elegant Potts Point and provides historic an Sydney hotel stay for all guests. This delightfully charming, bed and breakfast hotel is an ideal base from which to explore and do business in central Sydney. It is located within minutes of the Sydney Opera House, the Central Business District, the Sydney Harbour, Chinatown and the famous Sydney beaches. Guests are offered friendly and personalised service in an informal atmosphere and amidst Victorian charm. Unlike other Sydney hotels most rooms have marble fireplaces, some have four poster beds and others feature balconies which offer views over Victoria Street. The focal point of the Victoria Court is the verdant courtyard conservatory where, to the melodious accompaniment of a bubbling fountain, breakfast is served. In the immediate vicinity of the Victoria Court are some of Sydney's most renowned restaurants as well as countless cafes. The world renowned Royal Botanic Gardens lie between the harbour and this Sydney hotel, and other major attractions close by are The Rocks, The Art Gallery, The Australian Museum, Hyde Park and Darling Harbour. The Sebel Hotel Manly Beach is ideally located at the secluded southern end of beautiful Manly Beach and is one of the ultimate beachfront Sydney hotels. Offering stylish and fully refurbished rooms that are remeniscent of government Manly hotels the Sebel Manly Beach specialises in renowned service and is famous as a haven for visitors and locals alike. With its signature Norfolk Pine tree lined beach and relaxed atmosphere, Manly has become the ideal location for both leisure and business tourists. Also with the cosmopolitan cafes, galleries, boutiques, surf shops and the sparkling waters of Manly beach only a short stroll away, The Sebel Hotel Manly Beach is the gateway to Manly's unique beach culture and an easy distance from Sydney CBD. Comfort Inn North Shore provides hotel / motel units that are extremely clean and comfortable and feature queen bedding, mini bar, reverse cycle air-conditioning, digital television, internet connection & FOXTEL cable TV. This discount Sydney hotels located on the North Shore in Lane Cove and is ideally positioned for the corporate centres of Lane Cove West, North Ryde, Chatswood & North Sydney as well as being convenient to Sydney tourist attractions including Taronga Zoo, Sydney Harbour, Luna Park and Manly Beach. Renowned for being one of the best value Sydney hotels the Capitol Square Hotel is of international standard & is a national heritage listed boutique hotel located in Sydney's entertainment and cultural heart. Offering well-appointed hotel rooms at very reasonable discount rates the Capitol Square Hotel Sydney is just a short walk to Darling Harbour & Cockle Bay, Spanish Quarter, Chinatown, Paddy's Markets, theatres, cinema district and the Entertainment Centre. Being one of the more central of Sydney hotels the Capitol Square is only 5 minutes from Central Railway station with Sydney's Light Rail, Monorail and Sydney Buses at your doorstep, which allows business and holiday travellers easy access to most of Sydney's popular city attractions including Star City Casino's Lyric Theatre and the Fish Markets. The Hills Lodge Grand Mercure is a stylish, luxury Sydney hotel with a reputation built around quality and friendly service. Located in the heart of the Hills District of Sydney the Grand Mercure Hills Lodge is within easy reach of all parts of Sydney via the M2 and Sydney Orbital M7. This Sydney hotel's is positioned on the door step of the Norwest Business Park and Hills Industrial Estate. The Hills Lodge Hotel Sydney also offers the finest hotel suites, Nobles Restaurant & Bar, extensive function and conference facilities and Tonic Day Spa. The Hills Lodge offers a variety of well appointed and tastefully decorated hotel rooms of various sizes and configurations, from the deluxe rooms to the premium hotel suites. Rydges North Sydney provides business and holiday guests with luxury hotel and suite rooms that are perfectly situated within close walking distance to the North Sydney bustling business district and only a short journey over the iconic Harbour Bridge into the Sydney's CBD. Rydges North Sydney Hotel boasts stunning harbour views and the tranquillity of a lush garden setting in the heart of North Sydney's business district. With its distinctive warmth and sense of style, this fine North Sydney hotel has a raft of luxury facilities that other Sydney hotels are unable to match, including the recently refurbished 50Four restaurant, air conditioning, a mini bar, room service, high-speed Internet access, 24 hour reception, courtesy bus and a dedicated Business Centre to accommodate every need. The Newport Mirage Hotel is a multi-award winning waterfront hotel and function centre which includes conference facilities, stunning wedding reception and outdoor ceremony area. Nestled amongst lush greenery and hugging the shores of Pittwater, the Newport Mirage has become one of the most well-appointed Sydney hotels. The ideal location of the Newport Mirage Hotel offers guests a multitude of leisure activities including access to beaches, surfing, bushwalking, tennis, golf, catered cruises, deep sea fishing and sailing. Enjoy an exquisite contemporary dining experience at The Terrace on Pittwater Restaurant Sydney which is just one minute walk away. Alternatively you can relax at the Newport Mirage Hotel and bathe yourself in sunlight by the swimming poolor outdoor spa. Other hotel amenities at the Newport Mirage include a fully equipped hi-tech gymnasium, sauna, steam room, off street and undercover parking, cocktail bar, BBQ area, billiard room, convention facilities, wireless internet access, 24-hour reception, private jetty and safe deposit. The Diamant Hotel Sydney offers the discerning traveller a new realm of luxury with it's a blend of sophisticated elegance and modern beauty. One of the best luxury Sydney hotels available the Diamant Hotel is dedicated to the needs of the leisure and corporate traveller alike and aims to embrace the true Sydney spirit. The Diamant Hotel's offers spectacular views and world-class amenities in an unrivalled location, that is equal to the professional and personalised service that is provided to each and every guest at the Diamant Hotel Sydney. The Rydges Campbelltown Hotel is a new, stylish and contemporary Sydney accommodation that is ideally located in the CBD precinct of Campbelltown and provides luxury, yet affordable hotel rooms that have been specifically designed for business and holiday guests. The Rydges Campbelltown Hotel Sydney is a jewel in the crown of Campbelltown and features hotel rooms comprising of standard, executive and executive spa suites. This Campbelltown Hotel features include a new and contemporary look restaurant and bar, micro brewery and full access to the facilities of the Aquafit Fitness, Leisure Centre and Oceana Day Spa. Perfectly situated in the heart of Campbelltown's arts and entertainment precinct, the activities are endless with regular events and showcases on art, music, film, food and sports. Rydges Cronulla Beach is one of the few Sydney hotels with a perfect seaside location, panoramic views of Cronulla Beach and picturesque Gunnamatta Bay. With a recent refurbishment to the hotel rooms, restaurant and other public areas the Rydges Cronulla Beach Hotel boasts the latest in-room technology featuring LCD TV's, the 'MediaHub', Broadband and Wireless internet. The lively restaurant specialises in modern, innovative fresh cuisine and is ideal for both business travellers and leisure guests. The superb menu is complimented by a wine list showcasing a range of excellent Australian wineries. The friendly staff at the Rydges Cronulla Beach Hotel Sydney will always ensure your dining experience is a relaxed and enjoyable one. Rydges Bankstown Hotel offers centrally located hotel rooms within Sydney's South-Western commercial district. Positioned just 15 minutes from Sydney Olympic Park, Homebush and close to the business centres of Bankstown, Liverpool, Milperra, Regents Park, Chullora, Revesby and Parramatta the Rydges Hotel Bankstown has something for everyone. This quality Bankstown hotel features a stylish open plan lobby, restaurant and bar area with views of the outdoor pool and terrace area and provides designer look spacious guest rooms offering guests an exceptional standard. The superior hotel rooms cheap Parramatta apartments are smoke free and feature 'Rydges Dream' beds, air conditioning and heating, a reading area, workstation with high-speed internet, mini bar, digital movies on demand, Foxtel and a spacious ensuite bathroom. Rydges Bankstown Hotel Sydney is not only warm, contemporary and refreshing but its central location close to the business centres of Liverpool, Bankstown and Parramatta and the wealth of sporting facilities in the area, make it the ideal hotel for the business, sporting and leisure traveller alike.